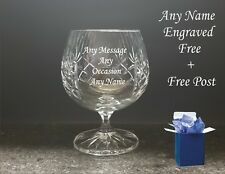 Personalised Bobbly Whisky Glass - Free Engraving -. Raise your glass for the chee rs! 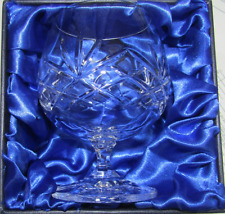 The clink of crystal is the perfect way to raise a toast at a Wedding or celebrate that special Anniversary. 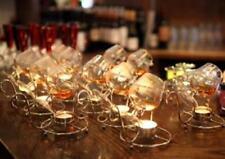 Brand New Ararat Brandy Glasses. 2 in a box. Condition is New. From a smoke free home Dispatched with Royal Mail 2nd Class. 2 x very handsome rounded Remy Martin 25cl balloon glasses,a great gift for the style- conscious Cognac lover. The glass feels amazing in hand - Standing 11cm tall with a 8cm diameter and weighing 270g feeling solid. 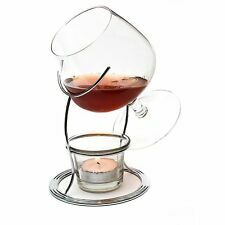 Very well designed for swirling your Remy Martin VSOP around! This is the classic glass used for serving cognac all over the world. It is perfect to appreciate fully cognac's aromatic intensity These stunning glasses would enhance any bar, collection or make a super gift. Note: drink is not included. Dishwasher Safe - Gifted boxed set of 1. A very handsome rounded Remy Martin 25cl balloon glass,a great gift for the style- conscious Cognac lover. The glass feels amazing in hand - Standing 11cm tall with a 8cm diameter and weighing 270g feeling solid. 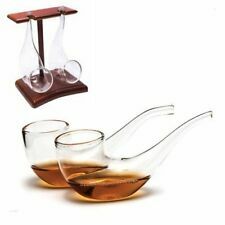 Very well designed for swirling your Remy Martin VSOP around! This is the classic glass used for serving cognac all over the world. It is perfect to appreciate fully cognac's aromatic intensity This stunning glass would enhance any bar, collection or make a super gift. New listingWHISKY / WHISKEY. PAIR MARTELL COGNAC BALLOON GLASSES. NEW. Brandy. A pair of Martell Cognac balloon glasses, new / unused, no box. 140 mm high ( 5.5 inches ). 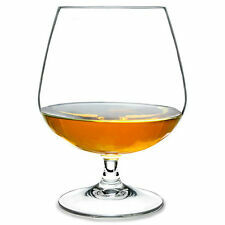 A very handsome rounded Martell 25cl balloon glass a great gift for the style- conscious Cognac lover. The glass feels amazing in hand - Standing 11cm tall with a 8cm diameter and weighing 270g feeling solid. Very well designed for swirling your Martell around! This is the classic glass used for serving cognac all over the world. It is perfect to appreciate fully cognac's aromatic intensity This stunning glass would enhance any bar, collection or make a super gift. Will dispatch immediately and contents will be secured safely. Silver plated stand with glass cup that holds the included standard 4cm tealight. With over fifty years of experience in creating crystal glasses that enhance the pleasure of drinking, Dartington Crystal caithness hasworked with world-leading experts to create for Bar Amigos the Whisky Experience Glass. Size - 30cl. Quantity - 1 Glass. A bit about BrewerianaUK. Lovely set of 6 cognac glasses. A few marks on red base as pictured. 48cl Glass. Excellent Quality RAVENHEAD Glasses. SET OF TWO COGNAC GLASSES. NEW AND BOXED. Martell Cognac Blue Base Glasses (300ml) x2 Excellent Condition. They have a cobalt blue base which gives the clear glass a blue hue. Item will be dispatched upon receipt of cleared funds. - x2 (1 Pair) Vintage 5 Star Cognac Brandy Short Stem Balloon Shape Gold Trim Glasses - In excellent pre-owned condition with no chips cracks or scratches. Had these for over 20 years now. Size - 29cl. Quantity - 1 Glass. A bit about BrewerianaUK. Small signs of wear on the box but glasses perfect.